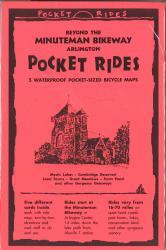 Packet of 5 laminated, waterproof map cards of biking routes around Arlington. Covers Mystic Lakes, Cambridge Reservoir, local farms, Great Meadows, and Farm Pond. 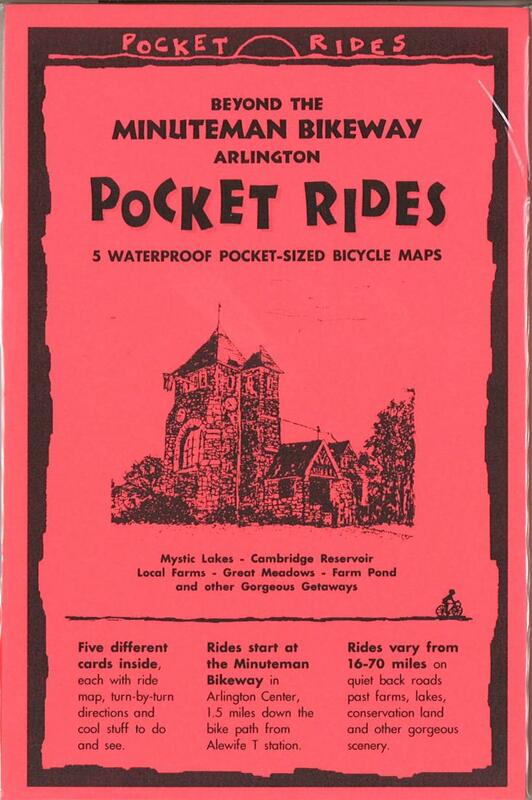 Rides start at the Minuteman Bikeway.